From simple copies of hardcopy originals to printing from files, we will address all of your blueprint reproduction needs. 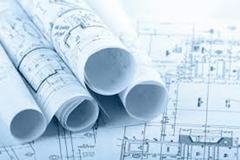 Convert hardcopy engineering or architectural drawings to digital files and print copies as precise as your original. Reproduce drawings in most common formats: JPEG, PDF, TIFF, and AutoCad DWG & DWF files. Drawings can be reproduced on bond, heavy weight presentation paper, photo gloss, indoor vinyl, or canvas. If you have a special requirement for different material, let us know!